In February 2011, the deadliest natural disaster in 80 years struck New Zealand. A massive earthquake took caused the collapse of many large buildings, and ultimately caused the death of many individuals. There was panic, chaos, and confusion. The national emergency caused heartbreak around the world for those who had lost their lives and those who lost loved ones. In “Mail online”, the Daily Reporter described the story of a mother who tried to survive for her children. From the position she was trapped under, Ann Voss gave numerous interviews, transitioning from an optimistic hope and persistence to an acceptance of her fate and a goodbye to her children. Having an infant can be stressful at times no matter where you are living. When in an emergency shelter, this task can be even harder. You can help ease the worries of new parents staying in emergency shelters this holiday season. 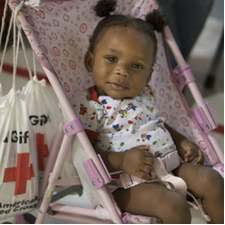 The infant care kits provide vital baby formula, new diapers and fresh wipes. Each kit provides enough to last four days.